Long-term findings from a phase I study of trastuzumab deruxtecan (DS-8201a) showed that the investigational HER2-targeting antibody-drug conjugate had antitumor activity in multiple tumor types that expressed HER2 at varying levels. 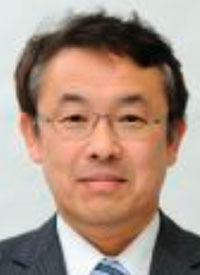 Lead author Hiroji Iwata, MD, PhD, said that the activity observed with DS-8201a may shift the definition of HER2expression in cancer. In August 2017, the FDA granted a breakthrough designation to DS-8201a for the treatment of patients with HER2-positive, locally advanced, or metastatic breast cancer who have been treated with trastuzumab (Herceptin) and pertuzumab (Perjeta) and have disease progression after ado-trastuzumab emtansine (T-DM1; Kadcyla). Patients included on this portion of the phase I study were those with breast, gastric, colorectal, salivary, or non–small cell lung cancer. The long-term findings of this study, in which 241 patients were enrolled, were presented at the 2018 ASCO Annual Meeting. Patients included were those with HER2-positive breast cancer following treatment with T-DM1, HER2-positive gastric cancer following trastuzumab, breast cancer with HER2-low expression, and other HER2-expressing solid tumors. The overall response rate (ORR) was 50.6% (n = 81) by RECIST v1.1 criteria among 160 evaluable patients. The highest ORR reported was 54.5% in the HER2-positive breast cancer population. The disease control rate among HER2-positive patients was 93.9%, the median progression-free survival (PFS) was not reached, and the median duration of response (DOR) was not reached. DS-8201a was also active among HER2-low breast cancer patients, with an ORR of 50.0% (17/34). The disease control rate in this group was 85.3% (29/34), the median PFS was 12.9 months, and the median DOR was 11 months. Treatment discontinuation was primarily attributed to progressive disease (25%; 50/200) or adverse events (9.5%; 23/241). Out of all 241 patients enrolled on the study, 121 experienced grade ≥3 adverse events, with the most common being decreased neutrophil count (15.4 %), anemia (14.9 %), decreased white blood cell count (12.4 %) and decreased platelet count (10.4 %). Additionally, 1 patient died of interstitial lung disease. In an interview with OncLive®, Iwata, vice director and chief of Breast Oncology at Aichi Cancer Center Hospital, discussed the promise of DS-8201a in breast cancer or other solid tumors with HER2 expression. OncLive: Can you provide some background on DS-8201a? Iwata: The HER2-positive population is sensitive to anti-HER2 therapies, and the activity is very promising in metastatic breast cancer. However, the HER2/low breast cancer population does not show as promising of results when using these anti-HER2 therapies. DS-8201a is a very promising drug, and a competitor to anti-HER2 antibody with a similar molecular payload. The characteristic of DS-8201a that is very promising is the bystander effect. Bystander effect permeates on the membrane, so the result is not only beneficial for HER2-overexpressing patients, but patients who are HER2/low. The bystander effect is a very promising characteristic. Therefore, it is promising in HER2/neu or HER2-low breast cancer and gastric cancer. What are the significance of the findings? These phase I data are not only important for breast and gastric cancer, but also for any other cancer with HER2 overexpression or with a HER2-mutant cohort. Those patients can achieve good results using DS-8201a. The breast and gastric cancer population is a very heavily pretreated one and there is a high response here, which is important. Data with DS-8201a are promising. Both the FDA and the Japan's Pharmaceuticals and Medical Devices Agency consider it a breakthrough therapy. What would be the optimal sequencing for this agent? The next step after standard frontline therapy would be where we use DS-8201a. In the future, it may enter the frontline [setting] as a standard of care as new data are obtained. I hope DS-8201a will become a new standard for HER2-positive metastatic breast cancer and for the HER2/low population. Based on the DS-8201a study, the definition of HER2 expression should be changed. Right now, the definition of HER2 expression is overexpression, but DS-8201a has good activity in HER2/low patients, as well. Perhaps in the future, the definition of HER2 should be changed to include low, medium, and high [expressors]. The definition is very important. Iwata H, Tamura K, Doi T, et al. Trastuzumab deruxtecan (DS-8201a) in subjects with HER2-expressing solid tumors: Long-term results of a large phase 1 study with multiple expansion cohorts. J Clin Oncol. 2018;36(suppl; abstr 2501).